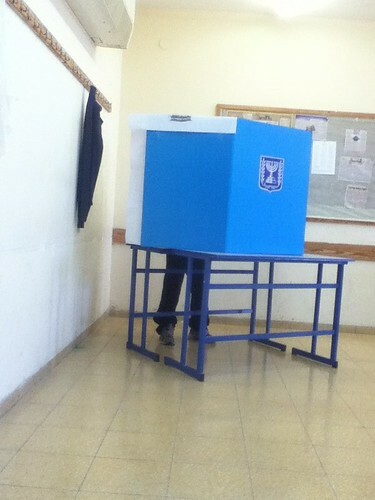 January 22, 2012, was election day in Israel. 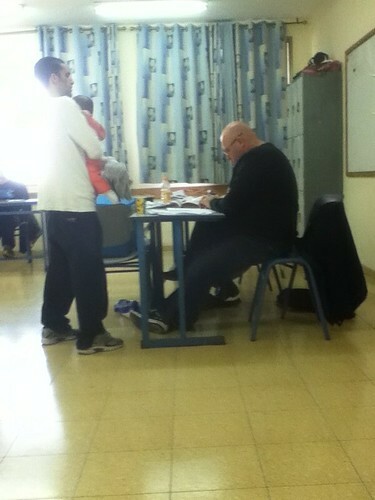 I took my iPod along and took some surreptitious photos. 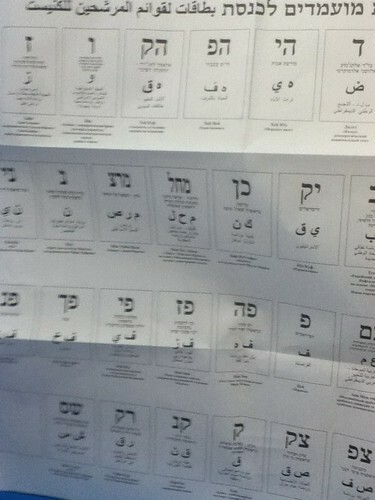 The first photo shows the voting slips inside the polling station. 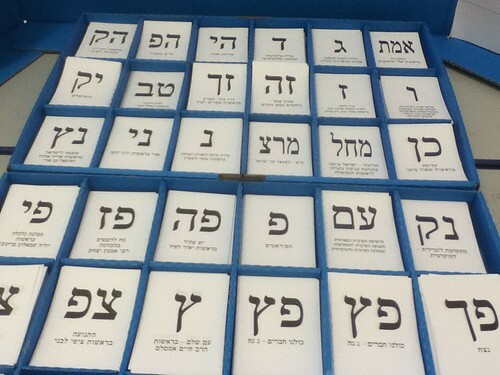 Some 30 parties were running in this election. 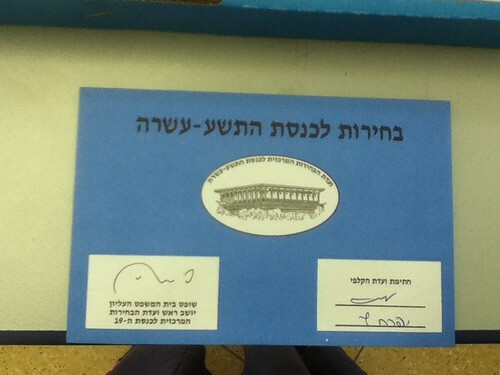 Sealed envelope with my ballot. Checked off on the voter list.